Assuming that all others know everyone or everything you know is always a mistake. 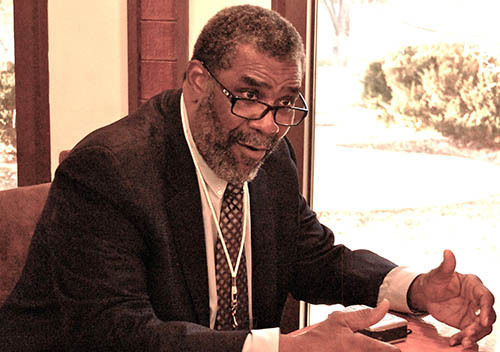 But it happens often, as it did when I first covered the Rotary Scholarship Banquet on Feb. 11 and their guest speaker, Charles Edward “Mean Joe” Greene. A lot of current NFL fans were not even born by 1969, when he first entered the NFL and many more are not old enough to have appreciated his talents. Before his NFL career, Greene had an outstanding college football career at North Texas State University, leading the team to a 23–5–1 record during his three seasons. In his 29 games at defensive tackle, North Texas State held the opposition to 2,507 yards gained on 1,276 rushes, a per carry average of less than two yards. In 1969, he was selected by the Pittsburgh Steelers with the fourth pick of the NFL draft and spent his entire career with them until his retirement in 1981. He was not happy about being selected by Pittsburgh with their long history of losing. But he had heard good things about coach Chuck Noll, who was also going into his first year with the Steelers. Greene was named Rookie of the Year for his talents, strength, intensity, quickness, and not least of all, his size (6’4”, 275 pounds, huge at the time). But, he hung in there. His professional career only got better with time. He won two NFL Defensive Player of the Year awards, five first-team All Pro selections, helped the Steelers win four Super Bowls in six years and was the leader and anchor of the “Steel Curtain” defense for Pittsburgh. He is widely considered to be one of the greatest defensive linemen to play in the NFL. Although hot-tempered, Greene was recognized as a player who would do whatever was best for his team. 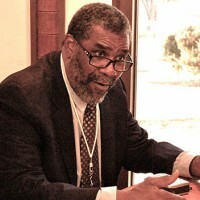 Greene was well known for the “stunt 4–3” defense, in which he would line up at an angle, between the center and guard, and would explode into the line taking out 2–3 blockers, sacrificing his stats in tackles and sacks to allow linebacker Jack Lambert and other defensive teammates easy takedowns. Greene credits Noll with helping him to grow as a player. Greene was very close to his three fellow linemen, and had no tolerance for losing, rallying even the veterans around him. As the Steelers made better draft choices and coach Noll continued to be superb, a dramatic makeover took place for this team of “losers,” as they had been dubbed for decades. Greene was credited as the cornerstone of this great dynasty and the most important player in their history. After the win in Super Bowl X, Greene sat out the first five games with a back injury and the team dropped to 1-4. The season looked lost. When Greene came back to work though, the team won the next nine games straight and got into the playoffs. This streak in 1976 by the defense held opponents to an average of less than 10 points a game (138 points in 14 games). And in their win streak, the defense recorded five shutouts in nine games and allowed only 28 points – with only two touchdowns in that span. When Greene retired, his spot in the lineup was technically not replaced as the Steelers switched to a 3-4 defensive alignment and has used it ever since. After retiring as an active player, Greene spent one year as a color analyst for CBS and then 16 years as an assistant coach for the Steelers (4), Dolphins (5), and Cardinals (7) and retired again to become the special assistant for player personnel for the Steelers, earning his fifth (XL-2005) and sixth (XLIII-2008) Super Bowl rings. He retired from the front office in 2013. The team retired his #75 jersey in 2014, only the second in Steeler history. When Greene was drafted, a newspaper headline asked, Who’s Joe Greene? The question was quickly answered as Greene became so good that teams double-teamed, and even triple-teamed him throughout his entire career. Now you have the answer to that question as well.